be crafted like jewels. " We’ve worked for Alessi for many years. Minou was the very first of several ‘objets bijoux’ we’ve had the pleasure of creating with them. Handbags remain an important way for women (and men) to express themselves. 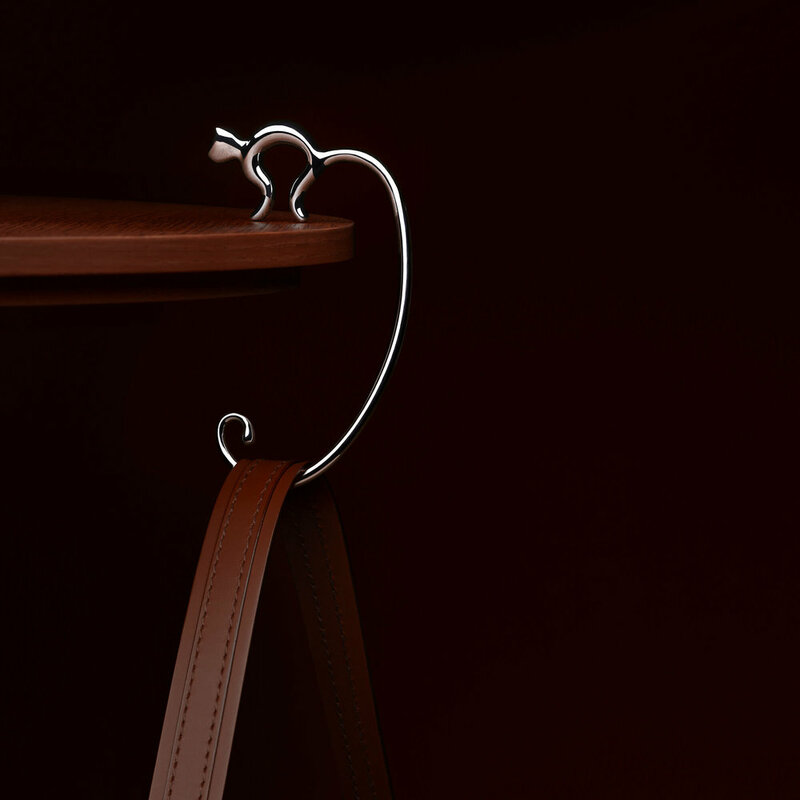 Our vision was to create a bag hook that combined the same elegance and practicality as the bags that would hang from it. To do that we approached Minou as a piece of jewellery. We used the ancient wax techniques of the Inca and Mayan traditions, substituting noble metals with stainless steel, to create an elegant and playful jewel that could even be hooked on the outside of a purse as a decoration. An elegant and playful riff on what was once a purely functional object.